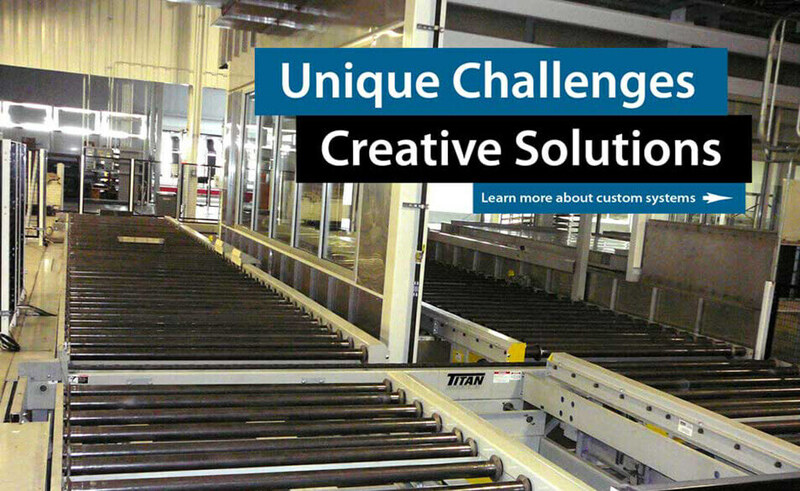 Titan conveyors solve our customers' industrial conveying challenges and are built to last. Titan conveyors are engineered specifically for your needs, without compromise. 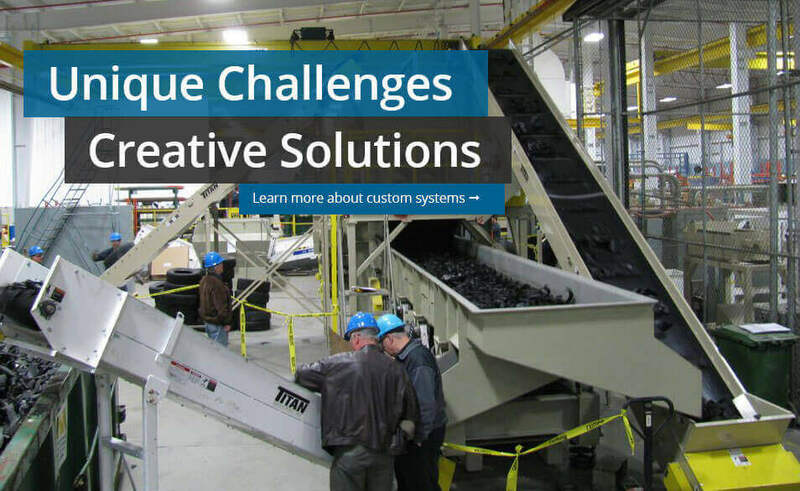 Titan breaks the paradigm associated with custom conveyor manufacturers, conveyors made to order, and conveyors loaded with special features and options. Get fast quotes without the hassle. Eliminate long lead times. 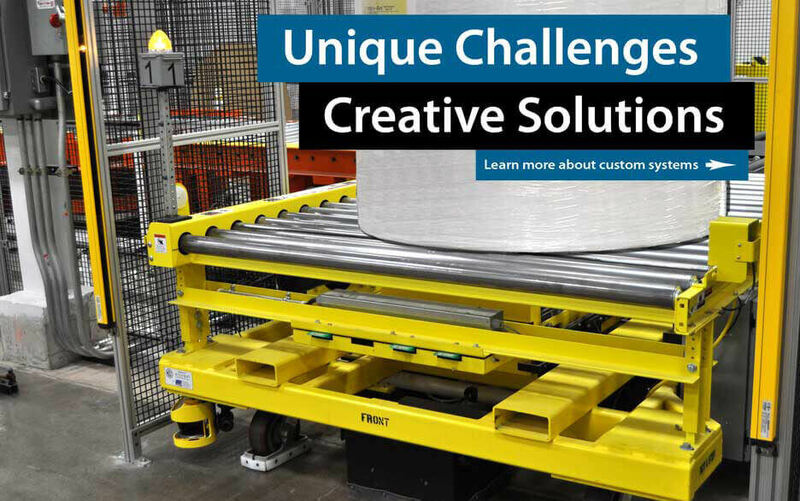 Expand your thinking outside “the catalog.” At Titan, custom conveyors means more than giving you the length and width you need; it means we offer an endless number of designs with an endless number of available features and options. We don’t run from customization, we welcome it with open arms, and we expect customization with every job. So, we’ve simply made it our business to be the best conveyor system manufacturer there is. Titan conveyors have been performing in the most demanding environments for more than 30 years. We have the engineering experience and field experience in hundreds of industries and nearly every imaginable application, so you can be confident your equipment will perform. 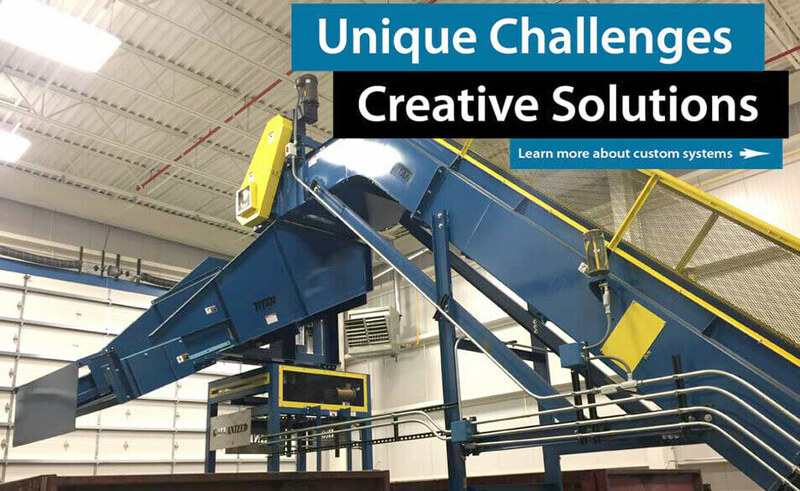 Titan Hinged Steel Belt Scrap Conveyors are available in 2-1/2” pitch, 4” pitch, and 6” pitch, covering the range of applications from machining chips to massive stamping operations. 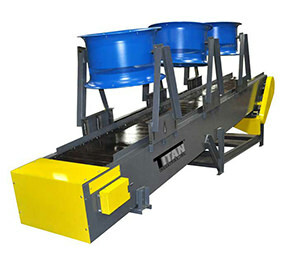 Titan offers a full range of Rubber, Plastic, Slat, Wire Mesh, Chain Belt and Roller Conveyors for unit handling and bulk handling in both dry and wet environments. 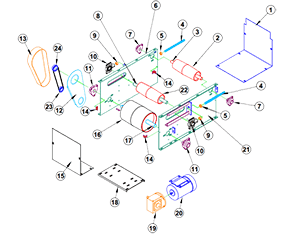 They are available for moving material horizontally, and for elevating material. All are designed with Titan’s philosophy of being built to last in industrial environments. 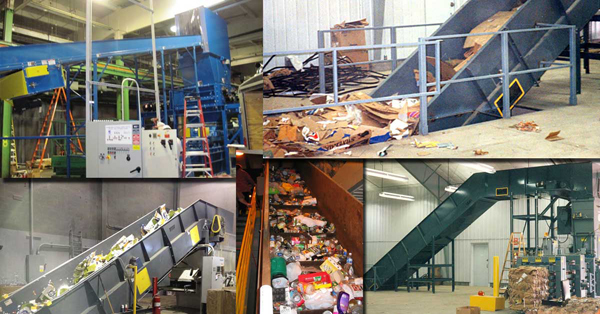 Recycling Systems turn to Titan Conveyors for the solution when it comes to baling & shredding systems. Elevating conveyors are typically cleated rubber belt, chain edge rubber belt or hinged steel belt conveyors. Contact Titan to solve your material handling problems.